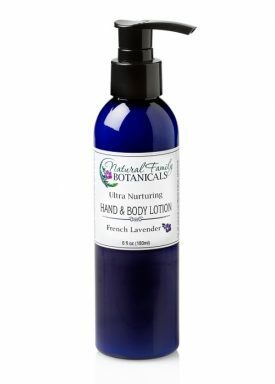 An outdoor lotion enhanced with UV reflective zinc oxide and protective natural plant oils that have a documented amount of SPF. Safe for the whole family and smells like summer! Sun Lotion is made with wholesome natural oils and ingredients and free from harmful chemicals! A hydrating natural sun formula to keep your skin moist and protected while enjoying your time outdoors. The naturally mined mineral, zinc oxide, is proven to repel harmful sun rays. 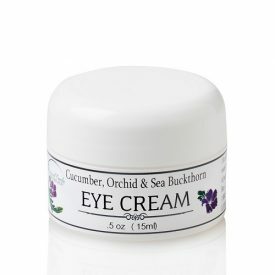 We use the non-nano size zinc to assure this cream is a safe for your skin product. Beneficial natural and organic oils of red raspberry seed oil, coconut oil, avocado oil, olive oil and macadamia nut oil all have been documented to have a measurable amount of Sun Protection Factor. 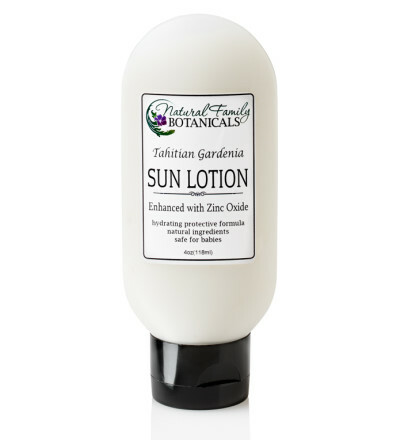 Our Sun Lotion is scented with Monoi DeTahiti gardenia blossom fragrance for a tropical, exotic, summertime scent! Disclaimer: Natural Family Botanicals cannot make a claim about the SPF for this product as it has not been tested in a laboratory. We do not call this a sunscreen and do not claim it to be a sunscreen. We can, however, provide you with the information about each of the ingredients and their documented SPF. Zinc Oxide – Offers several important benefits for the skin when applied topically and is one of the safest ingredients for protecting the skin from the harmful effects of ultraviolet (UV) rays by keeping them from penetrating the skin and causing cell damage. Zinc is also a necessary nutrient for the repair of skin cells. We use non-nano zinc at 5% for a safe, not so gritty coverage. Red Raspberry Seed Oil – Documented as having the highest amount of sun blocking abilities with a natural SPF between 35-50! 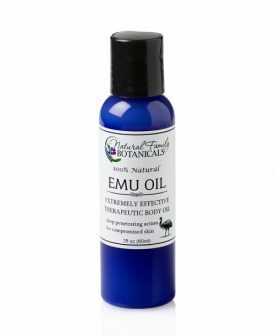 A skin nourishing, phyto-nutrient rich natural plant oil. Avocado Oil – Moisturizing, full of skin nourishing vitamins, and has a natural SPF rating of 5-15. Virgin Coconut Oil – Coconut oil has many skin nourishing and protecting qualities. Coconut oil has a natural SPF rating of 8. Olive Oil – Olive oil is high in oleic acid and a good skin cell regenerator. Attracts external moisture to the skin to protect against dryness. Soothing to itchy, inflamed skin. Olive oil has a natural SPF of 6-8. Macadamia Nut Oil – Rich in antioxidants and one of the highest sources of the essential fatty acid, palmitoleic acid which is lacking as our skin matures. Macadamia nut oil has a natural SPF of 6. 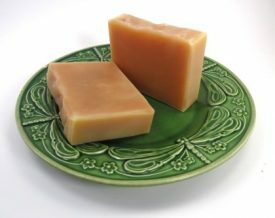 Aloe (vera) barbadensis leaf juice*, distilled water, persea gratissima (avocado) oil, helianthus annuus (sunflower) seed oil*, emulsifying wax NF, zinc oxide, Monoi DeTahiti scented cocos nucifera (coconut) oil*, olea europaea (olive) oil*, red raspberry seed oil, macadamia ternifolia seed oil*, leuconostoc radish root ferment, tapioca starch, non-gmo tocopherol vitamin e, rosemary extract*, citric acid.